I often linger in the kitchen while waiting for something to cook and end up battling an incoming existential crisis. The silence makes me think too much. No more! Say goodbye to the realisation that life is meaningless by playing video games on your microwave. That will stop the demons for at least a few minutes. 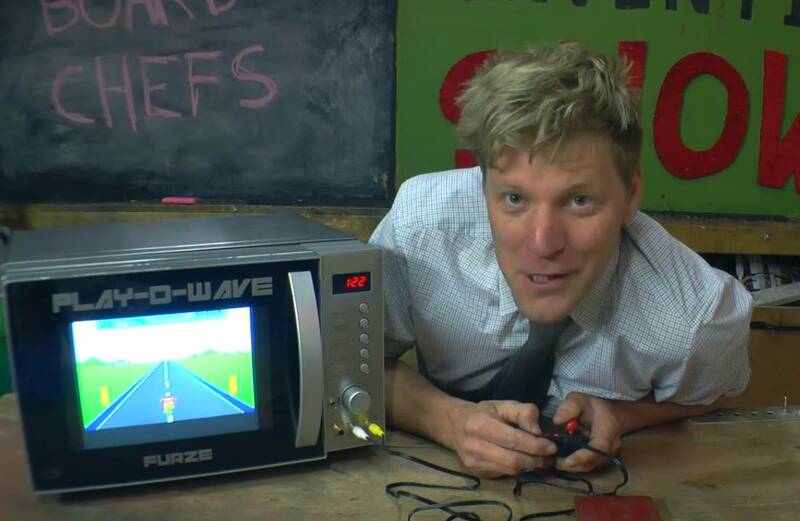 Colin Furze, who has a reputation for creating stuff out of nothing, has recently managed to incorporate a (pretty naff) little console into a microwave so he can play games while he waits for his food to cook. He even mentions that you could theoretically hook up a PlayStation to use with it instead. The revolution will be microwaved.